1st Kings begins with King David as a very old man. David reigned in Israel for 40 years, 7 years from Hebron, and 33 years from Jerusalem. He had already survived one of his sons (Absalom) attempted coup to take away the Throne of Israel. Now, as David approached the time of his death, a 2nd son, Adonijah, made his attempt to be king after David. Typically the Kingship would go to the eldest son; however, the choice belongs to the King! 1 Kings 1:5 Now Adonijah the son of Haggith EXALTED HIMSELF, saying, “I will be king.” So he prepared for himself chariots and horsemen with fifty men to run before him. There is nothing new under the sun. The enemy continues to use the same tactics over and over. In 1st Kings, we see the same pattern that the enemy has and is using in order to ATTEMPT to unseat JESUS CHRIST, who is the Rightful heir to the Throne of God! Satan began as an angel of light. He was a very beautiful and high ranking angel in God’s Kingdom before he fell into sin and rebellion. His original name means bringer of light, and it is thought that at one time he was even worship leader. But look what happened to him…He is no longer a “bringer of light! His name has changed to satan, meaning “the adversary”. The enemy has the same attitude of PRIDE that we find in Adonijah. 1st Kings states that “Adonijah EXALTED HIMSELF to be KING over Israel.” In Biblical “typology”, Adonijah is a “type” of satan, or the adversary. God teaches us spiritual truths through physical shadows and “types”. Who is the RIGHTFUL KING over all the earth? JESUS CHRIST is the Rightful King, as the Son of God and heir to the Throne! Important Note….this is a PATTERN and not an absolute! Although Adonijah and Solomon were half brothers, we are NOT saying that the enemy is Jesus’ “brother” or equal in any way! The enemy IS a CREATED BEING. JESUS is NOT a created being!! JESUS IS GOD ALMIGHTY. THE GREAT I AM, the EVER EXISTING ONE, the perfect LIKENESS of the FATHER! JESUS IS THE CREATOR! Adonijah is a “type” of satan because they both share a FATAL FLAW, the worst of sins….PRIDE!!! They both want to be King AND they employ similar strategies in their quest to be King. One of their “favorite” and most effective strategies is subterfuge and deception. Both would stop at nothing to get what they want. Adonijah and the satan are working from the same “play book” in their attempts to steal the Throne. There is nothing new under the sun. Of course, this didn’t work with Adonijah, who considered himself the rightful king of Israel, and it definitely WON’T work with the enemy who somehow believes he is the rightful king on planet earth!!! Make no mistake, both are usurpers, wrought with evil, FILLED with PRIDE, ENVY, and VENGEANCE, and both meet the same end. In David’s old and graying years, his circulation went bad, and he was cold all of the time. In order to comfort the beloved King, David’s servants decided to find a young maiden to lie in his bed with him and keep him warm. They sought to find David a “professional snuggler”. They did find such a woman who was known as Abishag the Shunamite. She was very young and beautiful and became the King’s nurse. The Bible distinctly points out that Abishag did not “cohabit” with David (she did not have sexual relations with David). But still, Abishag was considered to be part of David’s harem, or one of his lesser wives. Remember that David had several wives, as did many Israelites in these days. In the presence of David, who had given Solomon his blessing, Zadok the Priest anointed Solomon King over all of Israel. The people of Israel REJOICED saying “Long Live King Solomon”. Shortly after Solomon was anointed as the new King of Israel, David’s time of death drew near. As soon as David went to “sleep with his fathers”, Adonijah son of Haggith went to Bathsheba (Solomon’s mother) to make a request. Adonijah recognized that Solomon was King; however, he still felt that the Throne rightfully belonged to him! He was angry and resentful! Adonijah therefore requested Abishag the Shunammite to be his own wife. Why? Abishag, the young “professional cuddler” had been considered part of King David’s harem. Do you think that somehow Adonijah had fallen in love with his father’s “nurse” Abishag? No! Although Adonijah’s request seems innocuous enough, it was full of subterfuge. When Bathsheba went to her son to make request for Adonijah, Solomon’s initial response was one of indignation. He said to his mother, “Why do you request Abishag the Shunammite for Adonijah? You might as well request the kingdom for him—after all, he is my older brother” (1 Kings 2:22). Solomon rightly saw Adonijah’s desire to marry Abishag as part of his brother’s ongoing attempt to take over the kingdom of Israel. In those days of royal harems, taking possession of a king’s concubines was a declaration of one’s right to the throne.This had been one of Absalom’s methods when he led a coup against David (2 Samuel 16:22). Since Abishag was considered part of David’s harem, her marriage to Adonijah would have strengthened the usurper’s claim to the throne. In judgment for Adonijah’s request, Solomon said, “God do so to me and more also if this word does not cost Adonijah his life!” (1 Kings 2:23). He quickly sent Benaiah, one of their father’s mighty men, to execute Adonijah. Adonijah was clearly not done in his attempts to become king. His plan to acquire Abishag as a wife was seen for what it was—a threat to Solomon’s rule. Adonijah’s plan cost him his life, and the sibling rivalry came to an abrupt end.The execution of Adonijah was considered part of the establishment of Solomon’s kingdom (1 Kings 2:19–25). An interesting theory put forward by some scholars is that Abishag the Shunammite appears later in the Song of Solomon—that she is, in fact, the Shulamite of that book (Song of Solomon 6:13). 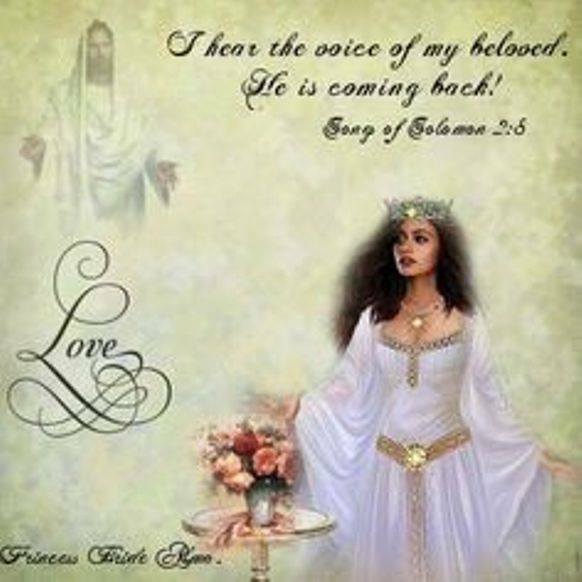 In the spiritual sense, Song of Solomon is a love Song between Christ and His Bride. The Shulamite woman in Song of Solomon is a “shadow” of the Bride of Christ. Is Abishag, the Shunamite, also a “type” of the Bride of Christ? Abishag had been part of King David’s Harem, so for Adonijah to desire her as his wife was his final attempt to wrest control of the Throne from King Solomon. Do you think that the enemy would ever attempt this strategy in an effort to strengthen his “claim” to the Throne of God? 2 Thessalonians 2:3 Let no one in any way deceive you, for it will not come unless the apostasy comes first, and the man of lawlessness is revealed, the son of destruction, 4 who opposes and exalts himself above every so-called god or object of worship, so that he takes his seat in the temple of God, displaying himself as being God. The enemy desires to replace God Almighty, King Jesus on the Throne. If Adonijah is a “type” or foreshadow of satan or the antichrist, then a similar strategy for the enemy to “strengthen his claim” to God’s Throne would be to take God’s wife (Israel) or Jesus’ Betrothed, the Church/Bride of Christ, as his own. How would he go about doing this? Adonijah used subterfuge or deception when he asked Bathsheba to convince her son Solomon to give him Abishag. 2nd Thessalonians 2 starts out “Let no man DECEIVE you” and then continues stating that the antichrist will “take his seat” (of power) in the Temple of God pretending to be GOD! He’s going to use subterfuge to gain access to the Temple of God!!! Who or what is the Temple of God? 1 Corinthians 3:16: 16 Do you not know that you are a temple of God and that the Spirit of God dwells in you? 17 If any man destroys the temple of God, God will destroy him, for the temple of God is holy, and that is what you are. Ephesians 2: 19: So then you are no longer strangers and aliens, but you are fellow citizens with the saints, and are of God’s household, 20 having been built on the foundation of the apostles and prophets, Christ Jesus Himself being the corner stone, 21 in whom the whole building, being fitted together, is growing into a holy temple in the Lord, 22 in whom you also are being built together into a dwelling of God in the Spirit. The New Testament makes it clear that the physical body of a believer in Jesus IS the Temple of God because Holy Spirit literally dwells inside of each Believer in Christ! The New Testament also metaphorically describes the Church of Jesus Christ (all Believers) as THE Temple of God. Each Believer is a “living Stone, with Jesus being the “chief Cornerstone”. The Cornerstone is the stone that holds the entire “building” together. Each member of the Church (Body of Christ/Bride of Christ) is a living stone in the Temple. 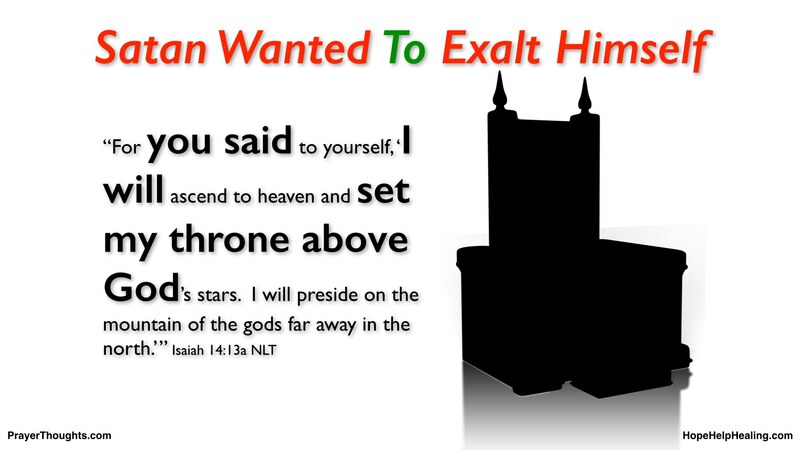 With this in mind, notice that the antichrist will take his place in the Temple of God stating that he is God. Of course, there probably will be an actual 3rd Temple built in Jerusalem. In-fact, the Temple Institute in Israel has been making the arrangements for this for many years. But 2nd Thessalonians is probably talking about the body of Christ, the Church. The enemy uses DECEPTION to gain entry into the Church, and will one day take THE leadership role, pretending to be the “chief Cornerstone”. In-fact, this mystery of Lawlessness is already in the Church. 2 Corinthians 11: I wish that you would bear with me in a little foolishness; but indeed you are bearing with me. 2 For I am jealous for you with a godly jealousy; for I betrothed you to one husband, so that to Christ I might present you as a pure virgin. 3 But I am afraid that, as the serpent deceived Eve by his craftiness, your minds will be led astray from the simplicity and purity of devotion to Christ. 4 For if one comes and preaches another Jesus whom we have NOT preached, or you receive a different spirit which you have not received, or a different gospel which you have not accepted, you bear this beautifully. Like Adonijah, the enemy WANTS to claim the Church of God, the Bride of Christ, for his own! Satan’s minions will enter Churches and preach a different Gospel, a different Jesus. When we are deceived and ACCIDENTALLY worship this different Jesus, we are really not worshipping Jesus at all, but the enemy! He thinks that stealing God’s Bride will give him greater claim to the Throne of God. The Mystery of Lawlessness is already at work in the Church! Even now, there are false prophets preaching a different Jesus from the Pulpit. Satan is the great deceiver, and he will continue to TRICK that portion of the Church who does not know God’s Word for themselves into worshiping him!!! During the Tribulation, he will set his seat of authority up in the Temple of God (Church), stating that he is God. He is also going to deceive ISRAEL (the Jewish people) into worshiping him as they think he is their “true Messiah” (having missed the time of their visitation) !!! He is going to “marry” Israel (for a short time, before he breaks the Covenant in the middle of Daniel’s 70th week!! (we’ll discuss Daniel’s 70 week PROPHECY in another post). But as the execution of Adonijah was considered a part of the establishment of Solomon’s Kingdom, so shall the “execution” of the antichrist be a part of the establishment of the Kingdom of God on earth, Jesus’ Christ’s Kingdom! (Thy Kingdom Come, Thy Will be done ON EARTH as it is in HEAVEN). 2 Thessalonians 2: 8 Then that lawless one will be revealed whom the Lord will SLAY with the breath of His mouth and bring to an end by the appearance of His coming; 9 that is, the one whose coming is in accord with the activity of Satan, with all power and signs and false wonders, 10 and with all the deception of wickedness for those who perish, because they did not receive the love of the truth so as to be saved.